Adrian believes great results can be achieved by combining bike position knowledge in a systematic manner, bringing together knowledge from multiple bike fit methods depending on rider needs. Understanding cycling injury, listening to each cyclist and problem and taking extensive history and follow up are fundamental to achieving great results. Adrian believes the bike fit process should involve close communication between rider and fitter with individual goals prioritised. 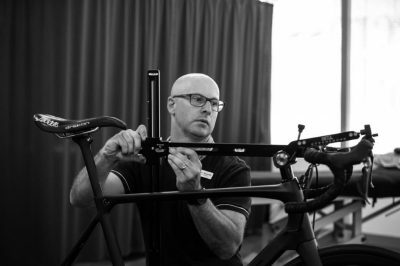 Road/trail/track/touring bike position testing is critical at various loads, believing bike fit should not be isolated to a single session and not purely based on bike fit technology or ‘plug and play’ bike fit systems. 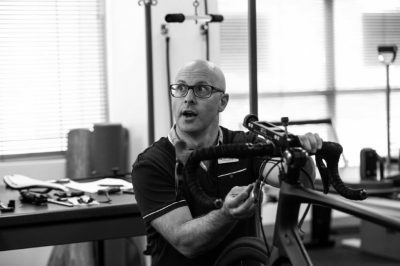 Adrian accepts the complex nature of bike fitting and blends bike fitting experience with the ability to listen and understand cycling, cycling injury and understand the biopsychosocial factors that can influence cycling injury rehabilitation. 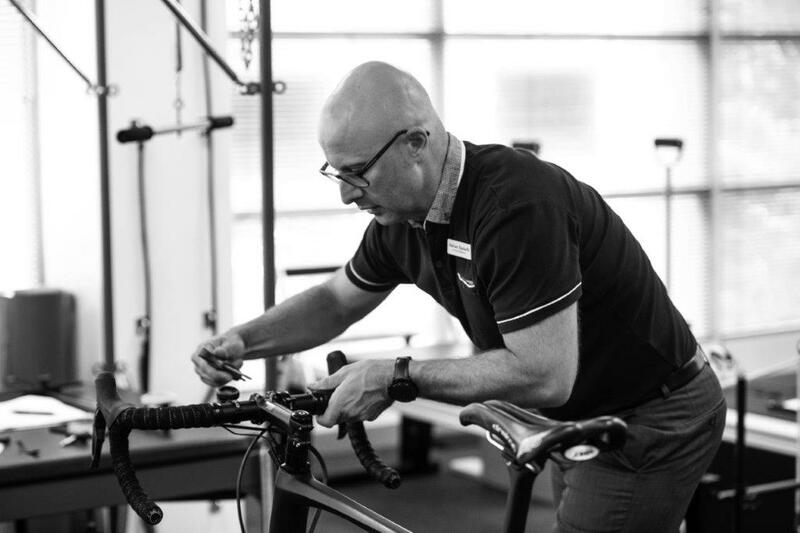 These factors allow Perth Bike Fit to deliver a high standard of personalized service, one that can assist an entry level rider to elite professional. Despite the low impact nature of cycling, positioning is an important factor in preventing and managing injury and enjoying riding a bike. Comfortable positioning is a vital factor in influencing pedaling efficiency, fatigue, performance and most importantly enjoyment of riding a bike. Adrian is a distributor of German company Solestar Cycling Insoles, currently researching the role of performance insoles in improving foot to pedal efficiency and midfoot stability. Studies have indicated up to 7% increase in power to the pedal using Solestar carbon insoles individually fitted inside the cycling shoe.